Healthy Paws was founded in 2009 and is located in Bellevue, WA. Healthy Paws works off reimbursements for medically necessary treatments and also offers Vet Direct Pay in some cases. They cover injuries, illnesses, genetic conditions as well as emergency care services. They also cover prescription medications, x-rays, other diagnostic tests and more. They do not cover exam fees or dental care. Does Healthy Paws cover Pre-existing conditions? No. Also, make sure to do a vet visit with your pets for Healthy Paws. If your pet is less than six years old, they must have had a veterinary exam within 12 months prior to enrollment otherwise they must have an exam within 15 days of enrolling with Healthy Paws. Pets over age 6 must have an exam within 15 days of enrolling if they haven’t had an exam in the last 30 days. Healthy Paws does not cover wellness or other expected treatments due to their reasoning that offering those features is a way to raise premiums, restricts payouts or deny claims for other areas of care. Healthy Paws follows the same model as car insurance and home insurance companies, saving their payouts for the catastrophic or emergency events. Healthy Paws has a 15-day waiting period for illness or injury,12 months for hip dysplasia. Veterinarian: Your choice of licensed veterinarian, even emergency hospitals and specialists. Healthy Paws even works off a pre-authorization model with certain vets. Submit claims through the Healthy Paws mobile app, by simply taking a picture of your veterinary bill and uploading to the app. According to a rep from Healthy Paws, 99% of claims are processed within two days and you will be sent a check or direct deposit. If you work things out with your vet in advance, Healthy Paws can pay your vet directly for services. Illnesses, accidents, hereditary conditions, congenital conditions, chronic conditions, cancer, diagnostic treatment, x-rays, blood tests, ultrasounds, surgery, hospitalization, prescription medications, emergency care, specialty care, alternative treatment. Where some insurance companies have various plans depending on how much you pay, Healthy Paws offers one plan – just adjust the deductible or reimbursement level – but the coverage stays the same. Dog insurance from Healthy Paws can range from $25 to $60 per month, while cat insurance is anywhere from $15 to $40 per month. Your quote will be customized based on your zip code, breed and age of your pet. 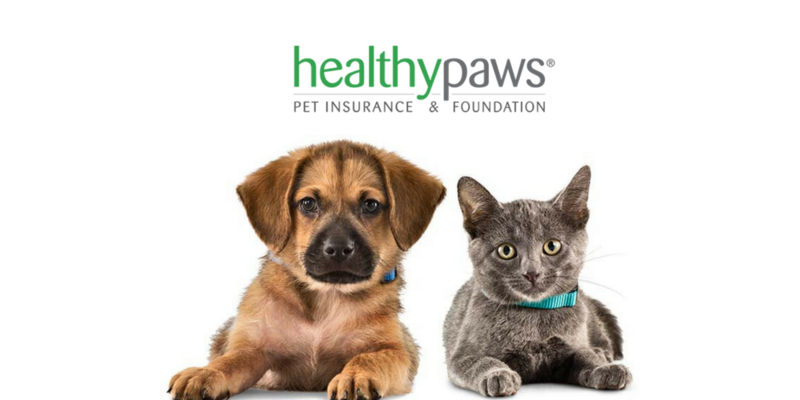 The Healthy Paws site is easy to navigate and you can choose the most popular option for younger pets, playing around with the options until your monthly payment and coverage levels are where you want, or you can take what you get from the company for an older pet, who have less options for coverage. Healthy Paws will not enroll pets over the age of 14 but will continue to insure pets for their lifetime, regardless of age, so long as their premiums are paid. Pets with chronic conditions who you are able to enroll before their symptoms manifest. Reasonable deductibles, easy claim payments, alternative therapies and fully comprehensive coverage make this a great plan for a pet that will last their lifetime. Healthy Paws has pretty good reviews on Yelp, with 4/5 stars. Most complaints center around rate hikes every year – this can get tricky because a lot of the time, once you select a pet insurance company, you are stuck with them if your pet gets sick. If you try to switch, anything your pet had treated or diagnosed will be considered a pre-existing condition and won’t be covered. So, while they do cover pets for their lifetime, they may raise the monthly premium on you. Reviewers who like Healthy Paws really like the quick claims processing, the true-to-policy coverage and the direct deposit. We did a sample quote, so you can see what it might look like to get your pup insured. We did a quote on a mixed-breed dog, age 4, 31-59 pounds. If we selected 80% reimbursement and $250 deductible, we would pay $42.96 per month. As soon as I adopted my furry child, a French Bulldog, I knew exactly what I needed next.. pet insurance. There wasn't an overwhelming amount to learn about pet insurance at the time since the idea was still pretty new. But I went with the cheaper of the two options.. Healthy Paws. It wasn't a month before I needed to use the pet insurance for some routine checkups and doggy prescriptions. Turns out French Bulldogs get to go the vet fairly frequently! I'm so happy I decided to buy pet insurance.. it gives me the piece of mind that if something serious were to happen, my dog would be covered and I wouldn't be in a sudden financial hardship. The process to file a claim with Healthy Paws is pretty simple, but works very different than the medical insurance I have for myself. After visiting the vet, I get a receipt by email which I forward to Healthy Paws. Once I reach my deductible, they reimburse me a percentage of what I spent as long as the services were covered. I always submit a claim for a daily skin medicine, and a few other costs to keep him healthy. Healthy Paws helps me save money and I'm thankful I chose them from the start. The only thing I wish were different with pet insurance is that it worked more like my medical insurance where the provider covers the cost up front and I'm not paying out of pocket for 100% of everything up front. They have been good to us so far and treated us fair. Their website is easy to use too.